1. This hat is tight. 2. 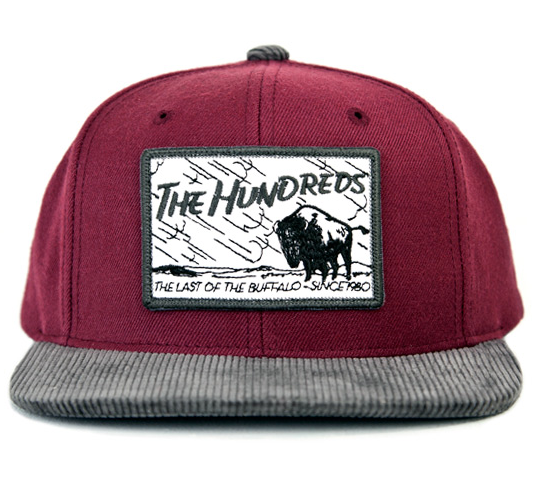 It is part of The Hundreds Fall Collection. 3. The other hats included in the Fall line-up are featured in a blog called We Brought Snapbacks Back. A lot of people/websites/companies have been taking "credit" for doing the same lately, and I kind of take issues with it. In my opinion, Snapbacks never left. I still rock my Duke snapback that I got in 1991 (Present in 4th grade for getting straight A's - swag! ), and have done so consistently since then. I guess you can say that snapbacks are definitely back in the mainstream - similar to the flannel neon resurgence in the mid 2000's, the flannel's in 2007/2008, and cardigan's in 2009-2010. It's all cyclical, and I get that - just don't like personal style getting grouped in to trends. 5. Have you seen the Tyga/Chris Brown video for Snapbacks Back?